Last thing we would want is flak be so easy to hit that being Skilled means nothing. then CVs would be Impossible to use . Let’s Talk About "Update 0.7.12: The Holidays Are Coming!" Give New Mexico a Reload buff like New York. 34.3 seconds is way to long for tier 6. Let’s Talk About "Revisiting Pearl Harbor - Historical Timeline"
So this is a good start but a lot more buffs need to be made to the Individual ships then just a small buff to New York. that is a ship for supertesters only though so that is not fair. look at the actual Alabama/mass. Its the same reason why US planes suffer in Warthunder aside form the P-47. 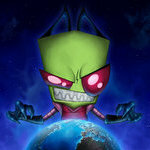 For some reason Russian game companies must hold a grudge against the US. they keep making the US get a worse version of what they had. us CV's VS Japanese CV's are another example. 5 A6M's should not be able to beat 6-7 F6F's. but they do... At least Wargaming is trying to fix this. Well yeah tier 5 doesn't need it but as for New Mexico and Colorado... If you compare the armor of the BBs at tier 6-7 the US have it the worst By far. Most the others have upwards of 90MM upper armor belts that protect a large amount of the ships side from BB AP/HE spam. the only ones comparable are the Queen Elizabeth and Warspite which still have some extra 150MM belt on their side and Nelson had the same All or nothing armor the Colorado's have and yet it has the 32MM on the side. Note Montana isn't in the Buff list... also as you said in a later post. the us BB's at tier 5-6-7 have Average AA, considering the US's AA in WW2 i'd say it should at least be in the Good category. So I saw this on one of the post by WG: "" WG So seeing this leaves some options for buffing the US BB's I can think of that don't add a weird Consumable gimmick, Note I'm not saying all of these should be added. only a few of them as all of them together would make them OP. 1: Increasing the armor sides on the US BBs tier 5-7 to 30/32MM instead of the current 25 (like the Nelson for example) due to how easy it is to kill them with 25M everywhere. 2: Reload buff for Texas, New York, New Mexico, maybe Arizona, to about 30-32 seconds instead of the current 35 as this is way to slow for the current meta, (example is fuso has the same number of Guns as New Mexico but it has a 28 second reload) 3: Giving them their Original turning circles back, examples: South Carolina had a 390M Turning circle but now has 480M, Wyoming had a 490M turning circle but now it has a 590M, New York had a 490M Turning circle but now has a 600M, New Mexico had a 540M Turning circle but now has a 640. Colorado has the same as New Mexico (for Obvious reasons) This one would balance out the fact they are so much slower then the rest of the BB's though I feel this is the least likely one. 4: Give all the US BB's their end war hull upgrades, example being giving Colorado Maryland's hull ( i have a separate forum post about this) etc. 5: Giving them faster Acceleration. 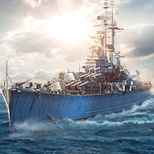 The US BB's never had a top speed of 18 knots, So I recommend making them hold the speed of 20-21 knots only make it that the upgrade gives them faster acceleration (basically a town down version for the British cruisers) 6 Buff their AA as the french and Germans should not have better performance AA then the US BBs and it has no historical backing along with the fast that AA was supposed to be one of the US BB lines "thing" I would just like to say as someone with Montana. The North Carolina and Iowa don't need any buffs. they are perfectly fine. Maybe Iowa to make it competitive with Missouri. I believe he is referring to the US light cruisers, Japanese Gunboats, British DDs (WIP), British Cruisers (though they dont got HE). From what i can tell this is because WG Hates Alpha strike now days... 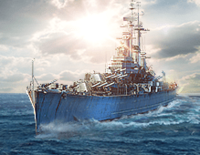 There has not been a ship line that doesn't rely on DPM instead of Alpha strike in at least a year, Even the French BBs are more of DPM at the higher tiers then the other lines, (cOuGh 20 second reload or Republique CoUgH Reload booster on Jean Bart and the other tier 10 COUGH) And the french cruisers got the Reload booster. Japanese gunboats are kinda Obvious, British DDs are going to be Monster DPM ships with 2.5 second reload US Light cruisers, they are changing Carriers to go from Alpha strikes to DMG over time as well. Both those throw Realism Out the window... the Designs are capable of that speed however as the Colorado's make 21knots on like 28,0000 HP or something low like that... but still.